A recent article in the Small Business Section of The Age was critical the TV program, the Shark Tank. This is where 5 very successful business people receive pitches from small business owners for an investment from them in return for equity in their business. The journalist thought the sharks treated these people with ‘complete distain’ and hence she loathed the program. I don’t think they do, and that she completely missed the point. The journalist compares the Shark Tank with other reality shows, and says that the sharks treat the pitchers far worse. Seriously, has she seen the talent shows which always have a judge who is paid to be nasty to contestants? There are a number of key differences between the panel in the Shark Tank and those on talent shows. Firstly, the panel on talent shows will be paid well to appear on them. I expect the Shark Tank panel gets little more than expenses. Secondly, the pitchers are asking for the sharks to give them money from their own pockets, so of course they are going to ask some tough questions. Want a $100,000 for 10% equity? Expect to be asked about sales and profit, and if you don’t have the answers to those questions at your fingertips, and you are still asking for their money, what sort of reaction would you expect? From my experience of the program, it’s not so much distain, as incredulity that someone could come onto the program so ill prepared, without doing their homework. If you were going onto a talent show, wouldn’t you spend time rehearsing first? There was one recent pitcher, who after presenting a rosy sales forecast, was asked about the costs of the business. One of the panel added these up, and said “You do realise that’s 120% of your sales?” After agreeing, the pitcher went on to say, “I just think that this would be good for me.” The amazing thing was that she already had a good business, but rather than maximising the value of that, she wanted to do something new. While incredulous, the sharks gave her good advice on focusing on her current business, which she acknowledged on the way out. Sometimes on questioning the pitcher, they come across evasion and deceit, at which point, it’s not so much disdain, as contempt. I do love the creativity of the deals the sharks make. This contrasts greatly with the British version, Dragons’ Den, where the only negotiation seems to be on equity. The sharks will also include royalties, interest free loans and other creative financing options. Another reason I prefer the Aussie version, is that there are a lot more deals done. I can think of one dragon who on all the shows I watched, never put his hand into his pocket. There are also some great pitchers. I loved the guy who had a novel product, but had no idea how to promote it. He was upfront about that, and offered (I may be miss remembering the numbers here), 25% for $1. One of the sharks came back with 50% for $2. He said he saw this as a one-off opportunity, he didn’t know if it would work, but he knew some people who could tell him fairly quickly whether it was a goer. He would make phone calls on the pitchers behalf, and together they would find out whether he was wasting his time or not. Even when a shark doesn’t offer their cash, they will often say something like, I can see that you are passionate about this, and it sounds like it could be a great business, but I don’t understand it, so it’s not for me. They will also offer suggestions about the business model even if they don’t invest. On the other hand, it’s clear that some pitchers really aren’t serious about a deal, but are there to get exposure for their business. 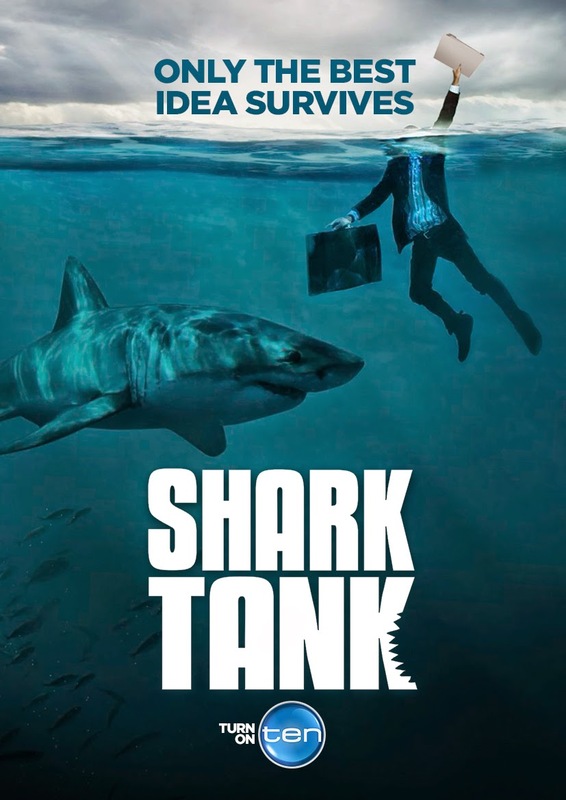 The Shark Tank is a marketplace, and both sides use it as such. While I do get annoyed at the heavy editing, I still think any budding entrepreneur would learn a lot from this show. I know I get surprised from time to time, and always learn something. Yes, I have been watching the show, and I think sometimes they are a bit harsh, and other times they are really helpful to the novices. Those over-optimistic ones really get a kick up the backside! My partner and I have an idea for a careers website business, that could be good in a couple of years time for Shark Tank! I think the harshness comes from the fact that the pitchers want the shark's money and the sharks have a right to be skeptical, whereas the abuse on talent shows is just gratuitous. I look forward to seeing you on the tank!